This step is a step toward greater internationalization of mass communication research. 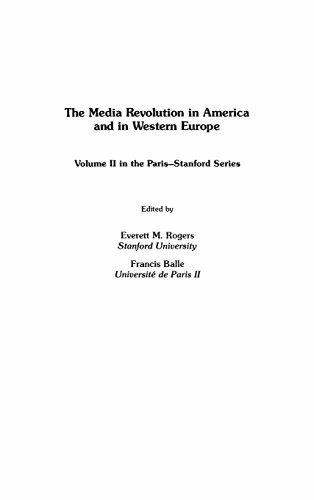 Existing differences between the mass media of North American and Western European countries provide a basis for comparative anlayses that illustrate how differences in national mass media systems can contribute towards intellectual understanding of communication behavior. The world of communication scholarship can be divided into two main schools, the empirical school and the critical school. This volume represents some of the leading scholars of each school and is dedicated to the intellectual merging of the schools by means of fostering an improved understanding of each other.